Roy Edward Larsen, the son of a newspaper man, was born in Boston in 1899. He studied at Harvard University, where he was business manager of the college literary magazine, The Advocate. It has been claimed that he had been the first person in history to turn it into a profit-making venture. 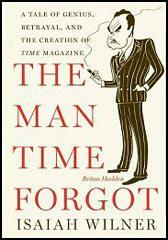 In 1923 Briton Hadden and Henry Luce established Time Magazine. Larsen was appointed as circulation manager. Other members of staff included Thomas J. C. Martyn, John Stuart Martin, Manfred Gottfried and Niven Busch. The first edition of the magazine was published on 3rd March, 1923. Only 9,000 copies were sold, a third of what it would take to break even in the first year of business. In an attempt to increase sales, Hadden employed young women to ask for the magazine at news-stands. Their reply was that they had never heard of it. After a few women had requested a copy of the magazine, Hadden arrived and by that time they were in the right mood to take a couple of copies. According to Isaiah Wilner, the author of The Man Time Forgot (2006): "Gradually Time gained a following among the young and modern set. College students kept the magazine on the coffee tables, circled favorite phrases or surprising facts, and quoted them to friends. A single issue would make its way through several sets of hands." After six months the magazine was selling 19,000 copies a week. By March 1925, Time Magazine had a paid circulation of 70,000 subscribers. In its second year, the magazine made a profit of $674.15. 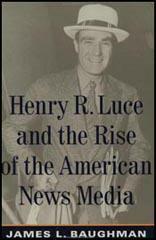 Despite an increase in revenue, Henry Luce still had trouble paying suppliers. Larsen was asked to come up with a way of finding more income from advertising in the magazine. Hadden suggested the idea of increasing the price of smaller adverts and offering a discount for buying in bulk. This method not only improved revenue but eventually became the industry standard for selling advertising. Larsen devised several different subscription offers. This included paying the cost of postage. The company also supplied a self-addressed and stamped postcard in their mailing. In April, 1925, Henry Luce discovered that Time Incorporated had lost $1,958.84 over the previous four months. He decided that he could save a considerable sum of money by relocating to Cleveland. John Penton, claimed he could save Luce $20,000 a year by printing the magazine in the city. Time Magazine moved to Cleveland in August, 1925. Larsen worked very closely with Briton Hadden in the various campaigns to increase the circulation of the magazine. One strategy was to criticise individual cities. For example, Hadden commented that Greensboro was "second-rate". He also attacked different aspects of Denver and Indianapolis. This created great controversy but the following year the readership had increased between 50 and 100% in these cities. Larsen wrote to Hadden: "The numbers speak for themselves. What we have done in Denver and Indianapolis, we can do in hundreds of cities and towns throughout the country." In December, 1925, Larsen organised a new subscription campaign. It was a great success and the magazine's circulation increased to 107,000. However, that year, the company lost $24,000, but this was largely due to the cost of the move to Cleveland. Luce claimed the future looked bright as the relocation had made the magazine more popular outside of New York City. By 1927 was selling over 175,000 copies a week. In 1928 Briton Hadden and Henry Luce argued about business matters. Luce was keen to publish a second magazine that he wanted to call Fortune. Hadden was opposed to the idea of publishing a journal devoted to promoting the capitalist system. He considered the "business world to be vapid and morally bankrupt". Together, Hadden and Luce owned more than half of the voting stock and were able to retain control of the company. However, Luce was unable to publish a new magazine without the agreement of his partner. Hadden died of heart failure on 27th February, 1929. The following week Hadden's name was removed from Time's masthead as the joint founder of the magazine. Luce also approached Hadden's mother about buying her stock in Time Incorporated. She refused but her other son, Crowell Hadden, accepted his offer to join the board of directors. Crowell agreed to try and persuade his mother to change her mind and in September 1929, she agreed to sell her stock to a syndicate under Luce's control for just over a million dollars. This gave him a controlling interest in the company. Soon after Hadden's death, Luce began publishing Fortune. Larsen was also involved in producing The March of Time for radio (1931) and for the cinema (1935). Larsen eventually became president of Time Incorprated. He was also the main figure behind the creation of Sports Illustrated.